My idea became a reality on the 2nd of July when we entered the charming center of Prescott with plenty of green trees and architecture that does not resemble the southwest character of Tucson. 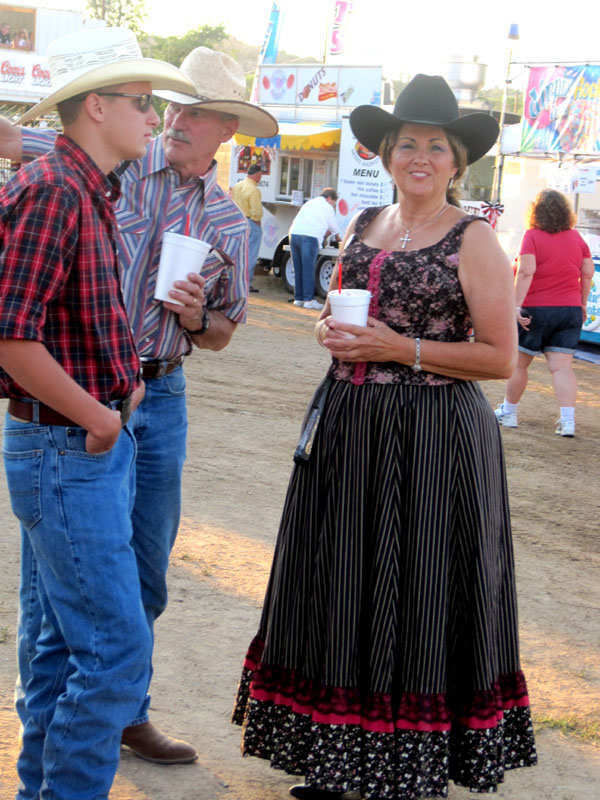 We got tickets for the evening of the next day, and I could hardly wait since it would be my first rodeo. 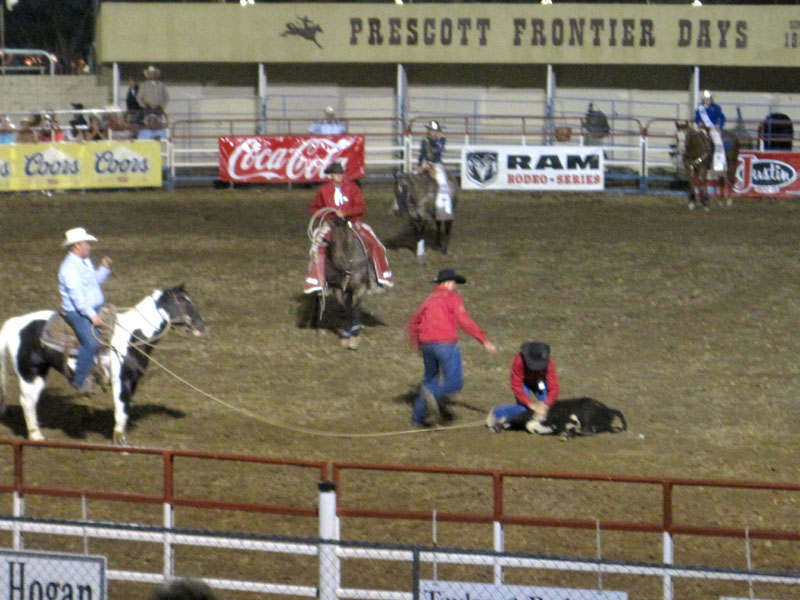 The first Prescott “rodeo” took place on July 4, 1888 — it was called a “Cowboy Tournament” at that time and was an addition to the 4th of July activities. The aim was to bring people to town to enjoy a variety of festivities and, of course, to spend money in local shops. 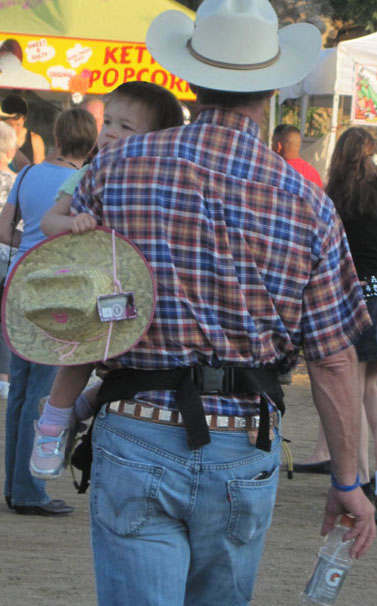 That first “rodeo” in Prescott was a great success. Both the contestants and spectators loved it, and that is how it all began…. In fact “Prescott, Where it all Began” was the theme of this year’s festivities. 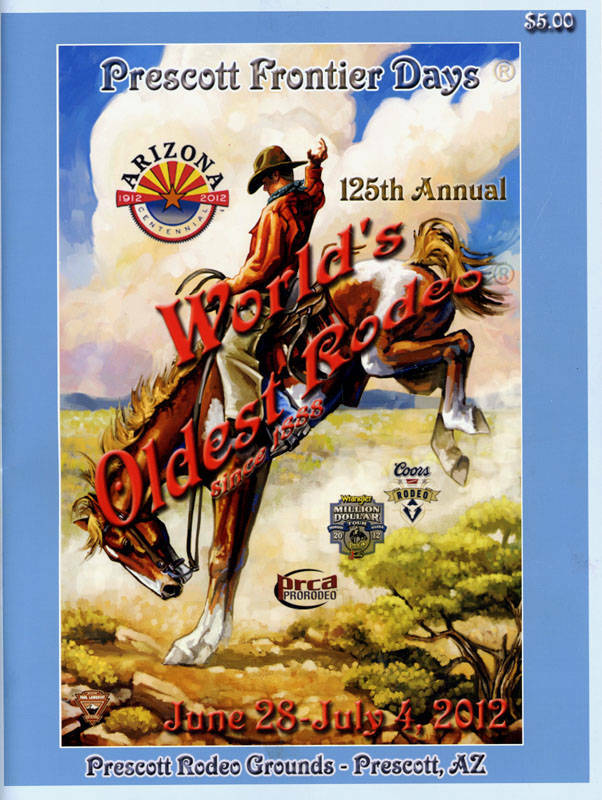 Rightly so, since it was the 125th anniversary of the World’s Oldest Rodeo® in the same year that Arizona is celebrating its centennial statehood status. 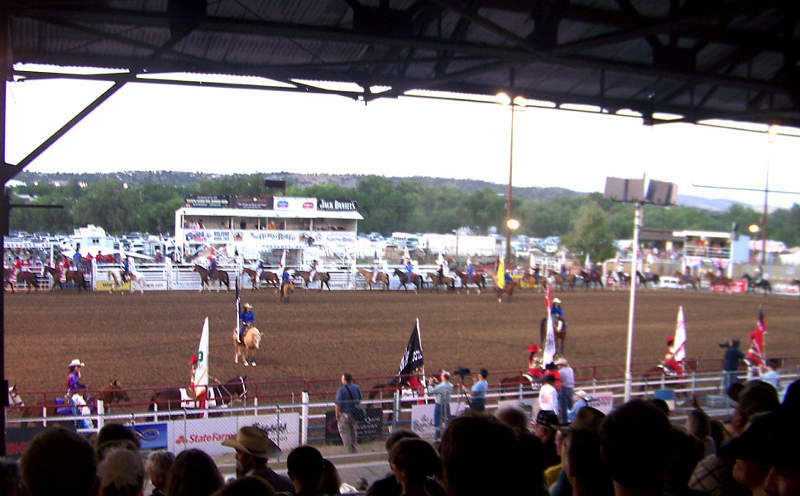 One might ask — is it really the world’s oldest rodeo? Apparently there are some stiff criteria that have to be met to be called that and to be able to obtain a register ® mark from the U.S. Patent Office. That mark, No.1.353.477, was issued on August 6, 1985. 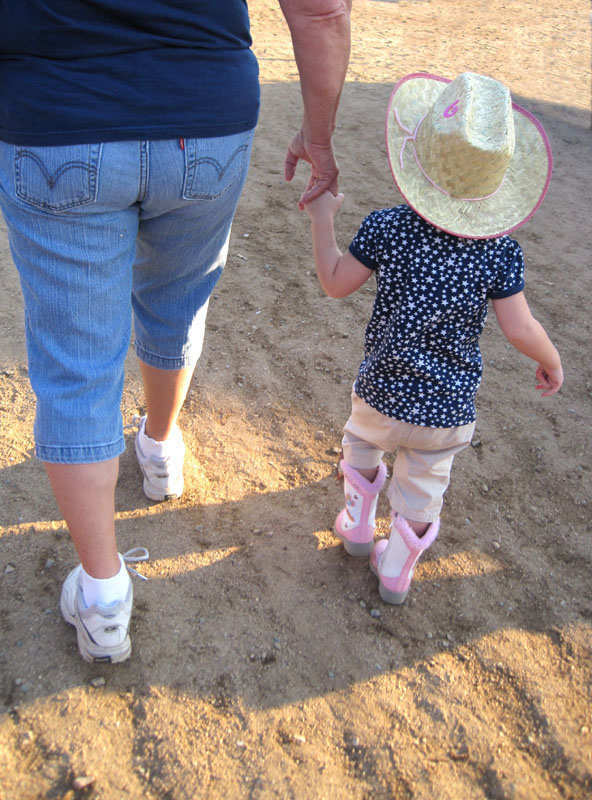 So the Prescott Rodeo truly must be the oldest one, right? 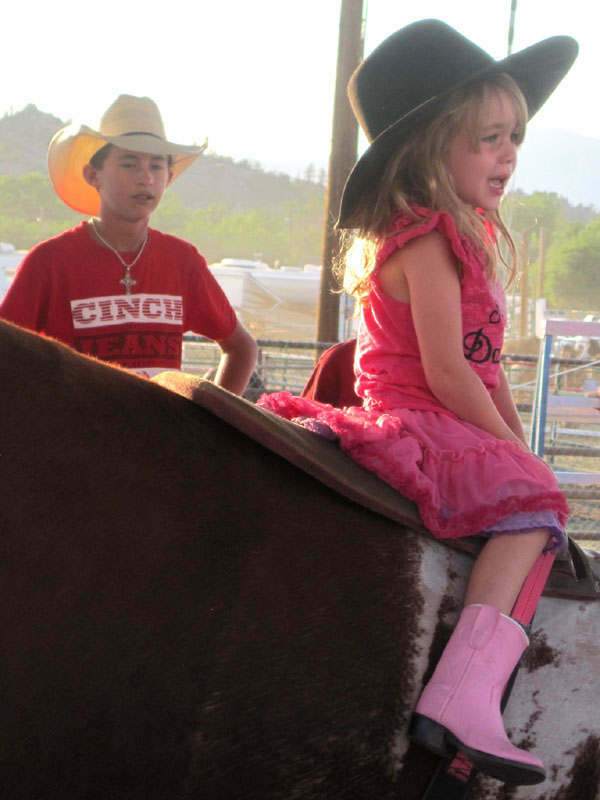 The rodeo tradition is as old as ranching and cattle raising. 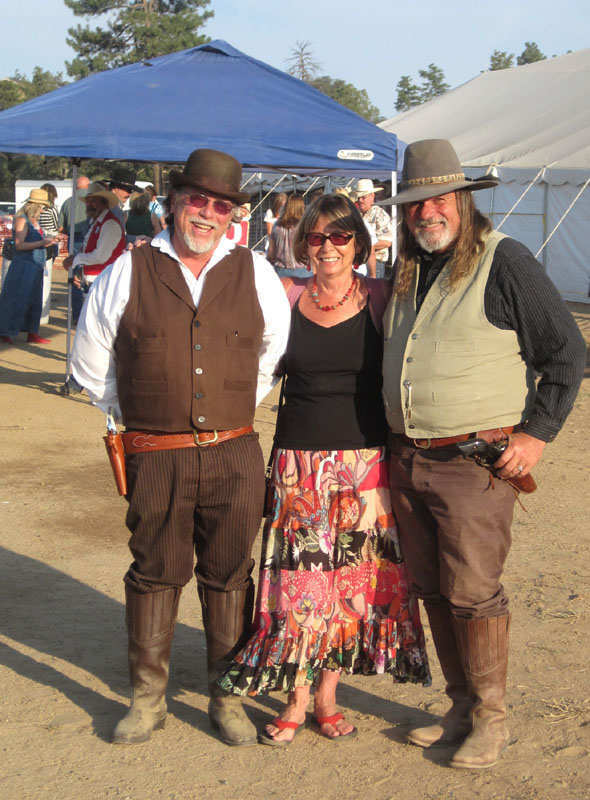 It honors the heritage of the cowboy culture that is so deeply rooted in the Prescott area. 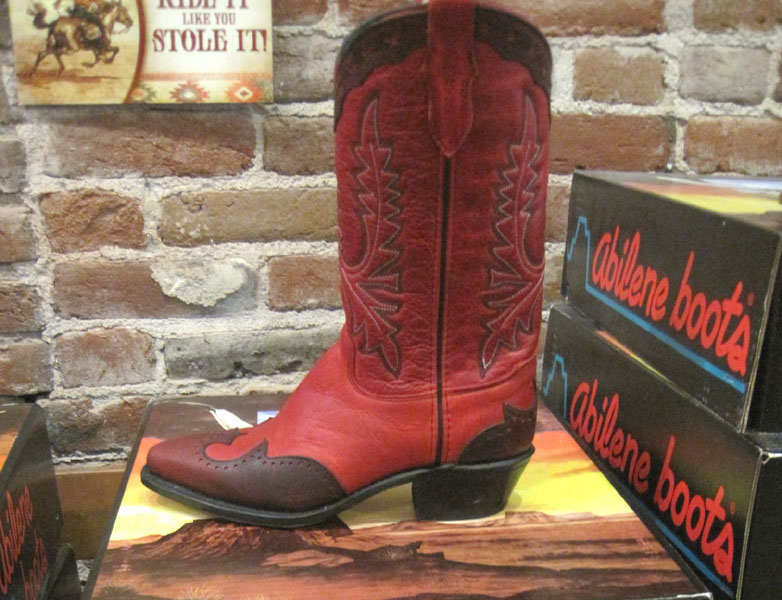 It is derived from the old Spanish tradition of the vaquero. 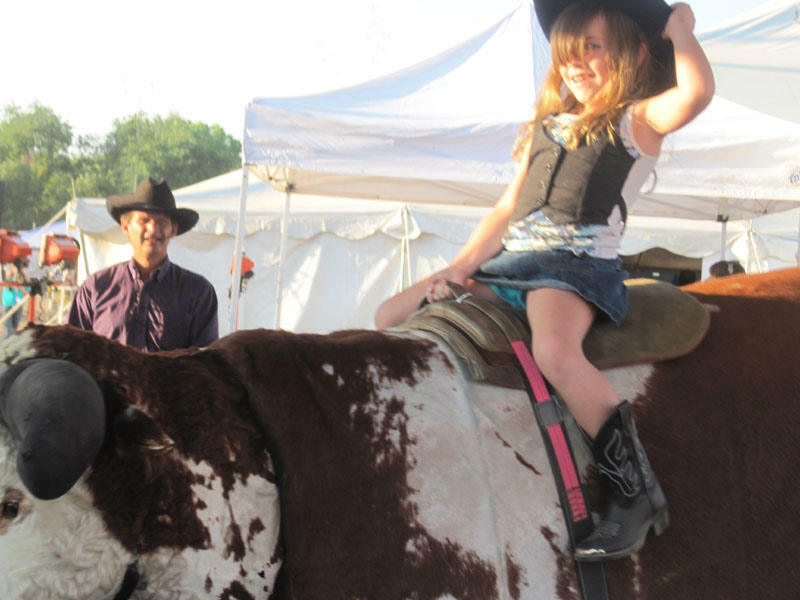 It has become extremely popular in this country with over 700 professional rodeos. Rodeos are reflections of the cowboys’ skills used in the every day chores of their lives. 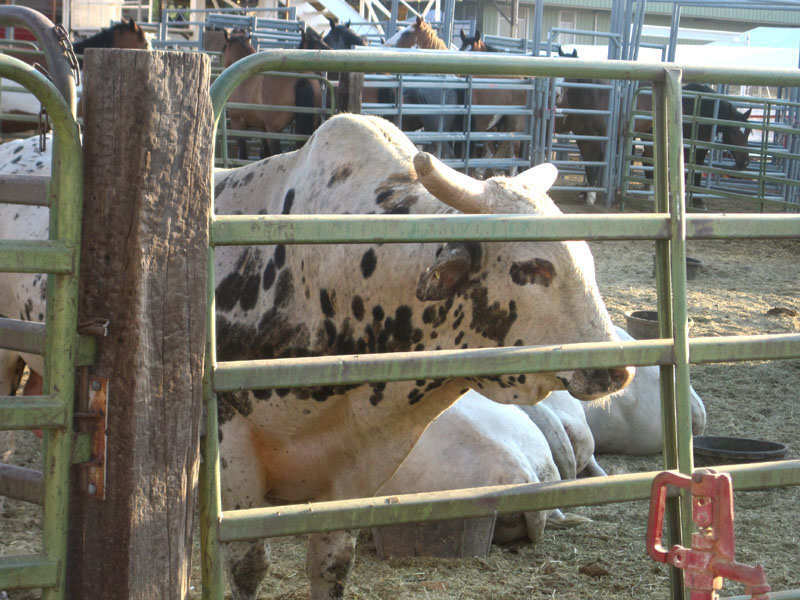 To compete in a rodeo one has to have knowledge of the animals, tenacious spirit, and athletic ability crucial for success in the ranching world. Only bull riding does not seem to fit this concept. 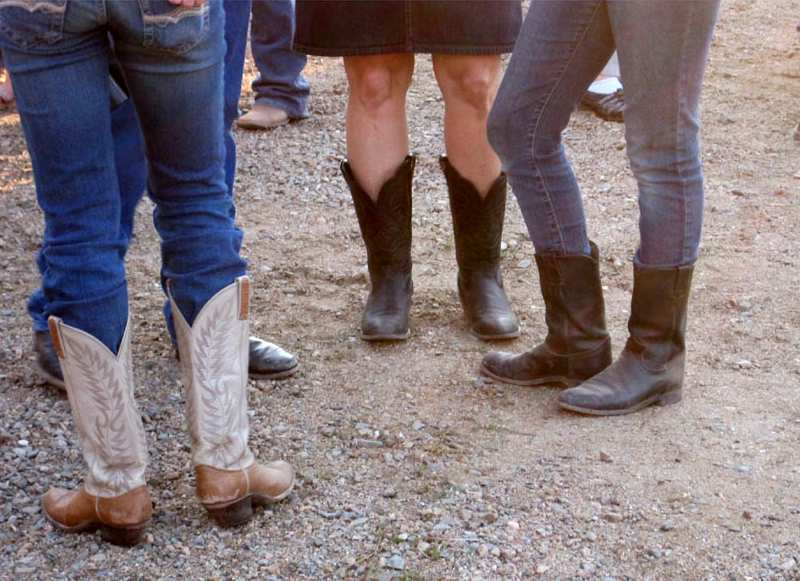 Boots and hats were in great abundance. I was probably the only one wearing my flimsy flip flops! I loved the friendliness of the place and seeing many women and men dressed with extra care for the occasion. There was some pride and joy in the air…. 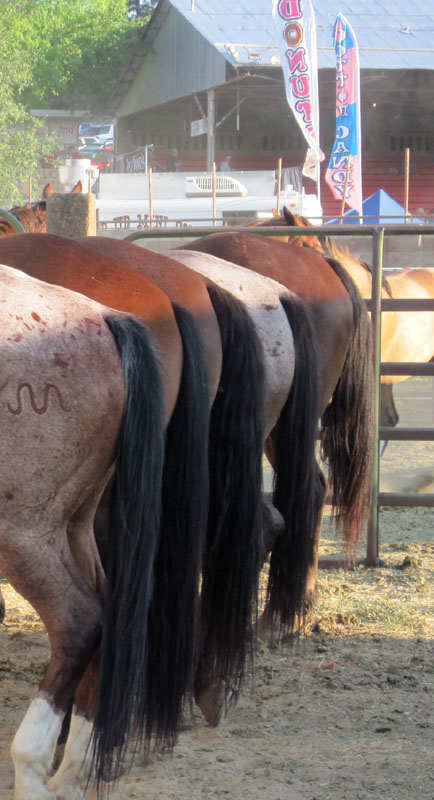 Even the horses looked elegant with their slick pony tails! I imagined that they were “Saddle Bronc Riding” horses. 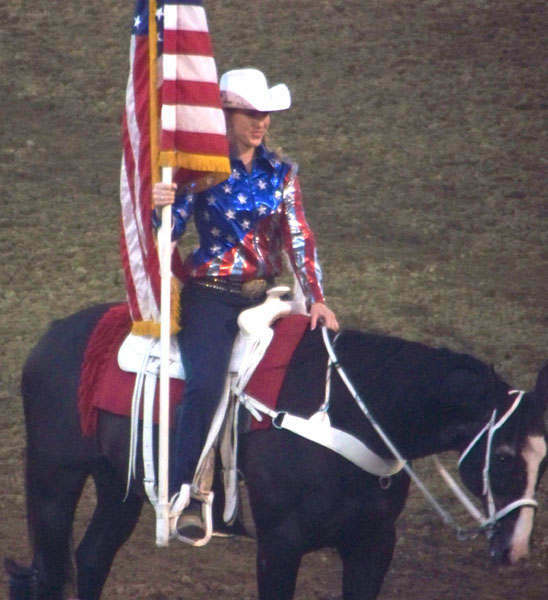 Those horses are identified individually in the program, just like the human contestants, with names like Elvis, Cactus Flower, Thunderstorm or General Tom. I like that idea — it shows respect for those animals and stresses their integral part in the competition. Visiting the bulls was surprisingly amusing. They were very calm and only one took some interest in my visit. They do not have their names listed in the program, but I decided to name this one, anyway, as Tracy. I think it fits him well. Visiting another bull was even more amusing and you can see why. Of course it was a mechanical bull, but the girls were very real! One was a happy rider and the other not happy at all. It was time to follow others to the arena. This was the view from my seat, not the best one, but still it was exciting to be there. I felt like a kid again in some kind of enchanted and unknown world. 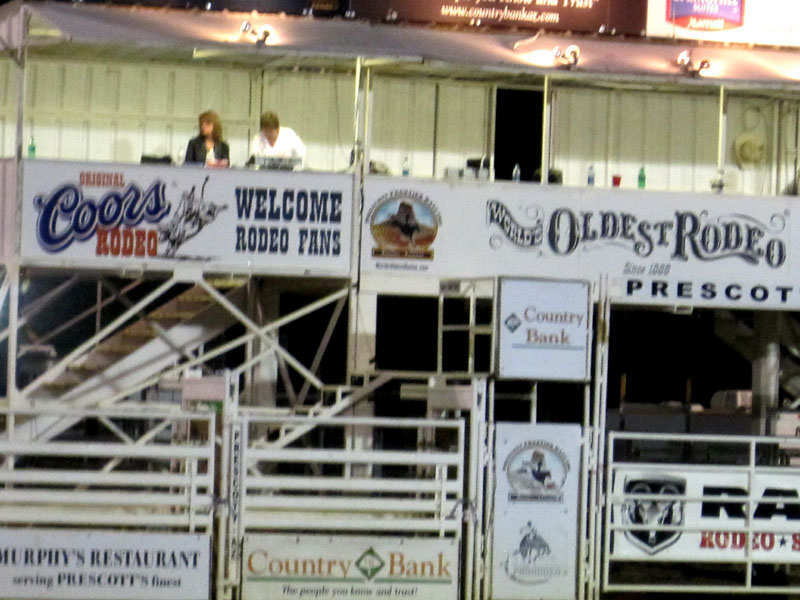 Randy Corley kept us informed about all of the action in the arena from the announcer’s booth. 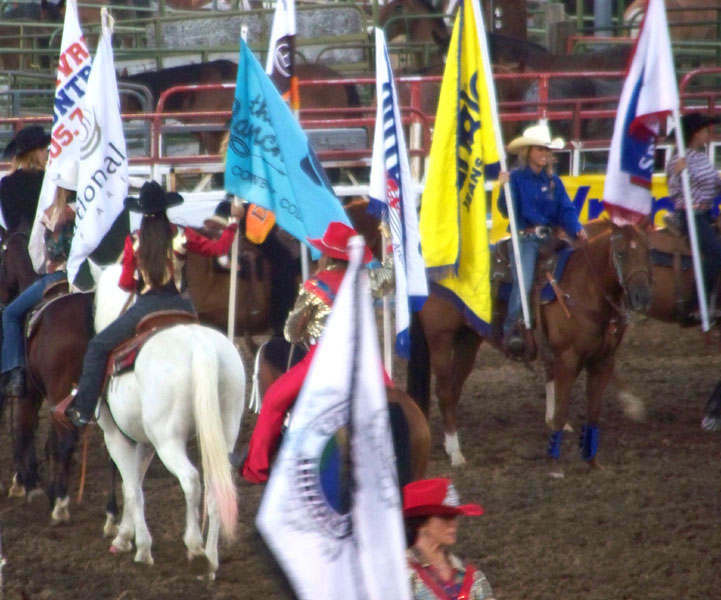 The “Grand Entry” was full of flags — all kinds of flags — patriotic and commercial ones. 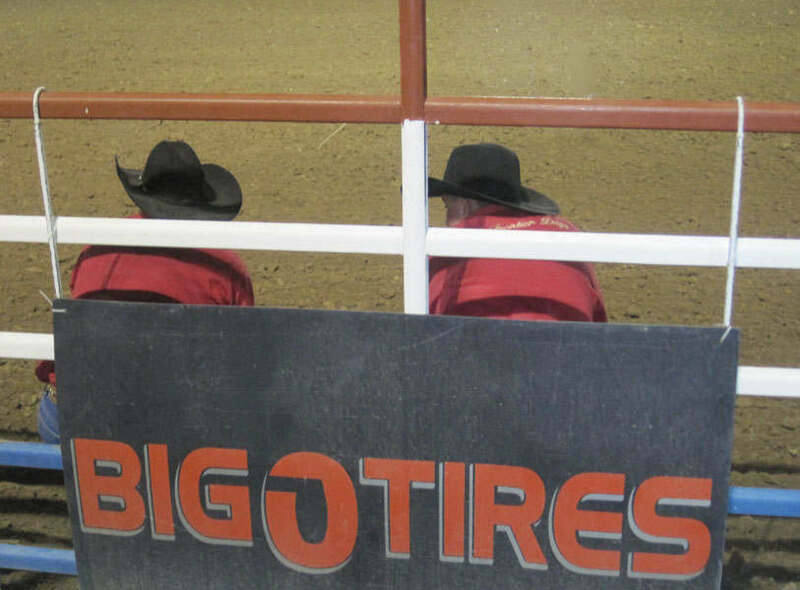 Events like rodeos need some sponsors, of course — like Big O Tires. OK, after a few attempts to capture the bucking horse riding, I had to give up! The action is very fast and intense — the rider has to stay on the horse for 8 seconds just to qualify! Many of them don’t last that long. I was not equipped for that kind of photography and did not have have a good spot for it. 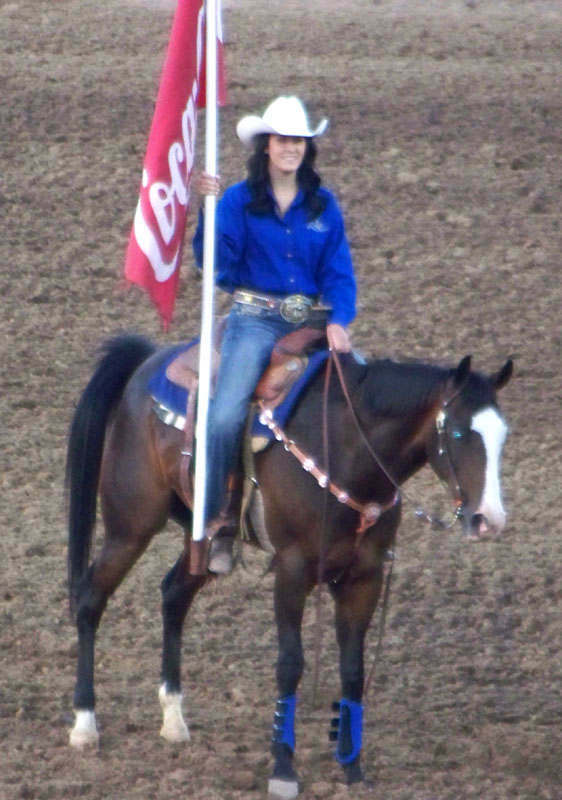 Therefore I will direct you to the professional photographers of the rodeo. Please click on my photo above or here to enjoy their action photos. 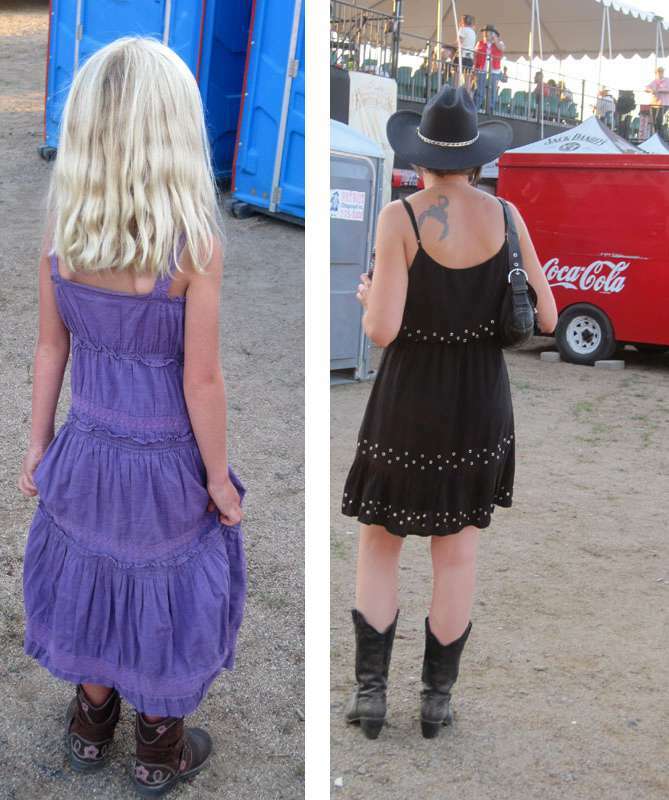 It was dark when the rodeo ended. 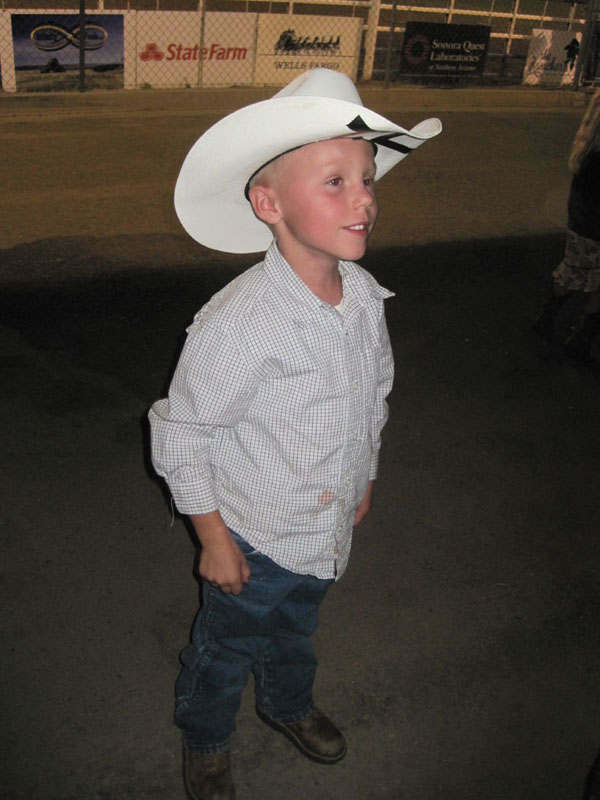 I enjoyed it very much and felt satisfied, just like this little cowboy. 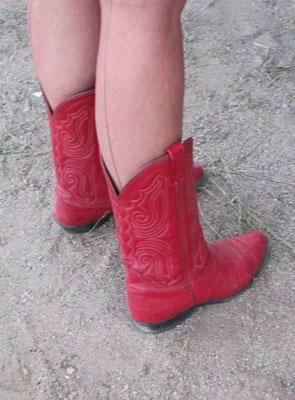 However next time I will not wear my flip flops, but red boots like these instead. I also know where to buy them. Cover Artwork of the Program by Paul Lanquist. Text and other photos copyright © 2012 by Alicja Mann.